WELDTECH Ltd. was established in 1999, its activity was composed of special welding and metal spraying. Since then, we have introduced the ceramic- and plastic coating, and the production of wear-proof parts. In 2006, we added a worn hole repair appliance to our range of machinery, with which we renew the worn boreholes, bearing housings, bushings mainly on the spot. In 2011, as a new technology, we introduced the SparkDepo (electro-spark deposition), for which we have received practical training in Japan, at the manufacturer of the equipment. Parallelly, we purchased a vibration stress relief equipment, which proves to be a big help at fastidioous welding exercises. Latest we purchased a HVOF coating equipment and a SIFCO Selective brush plating (electroplating) equipment. With the above mentioned technologies we repair and renew parts, machines, equipments of industrial, agricultural and general purposes. We undertake the repairation of pistons, sleeves, axles, wheel hubs, wheel flanges, brake disks, brake drums, hydraulic cylinders, cogwheels, worm gears, bushings, engine blocks, drive gears, springs, tools, pulleys, extruder pulleys, boiler gears, pumps, compressors, bogies, pins, etc. Our field of activity includes everything that has cracked, broken or worn. We perform the joint- and overlay welding and metal spraying of various alloys (Hastelloy C, Inconel, titanium, spiater, etc. ), die steels, aluminium, copper, bronze, stainless heat-resistant metals, grey alloys, steel alloys. From these materials, we also undertake custom manufacturing, too. We provide a long-term guarantee on our performed works. We have formulated our range of machinery in such as manner, that we are able to perform all the cutting, chipping and grinding works that are related to the repair, too. We provide a non-stop service for our customers working round the clock. We perform the urgent reparations out of turn, and undertake the transportation of the parts to and from the customer. On mobility and flexibility we lay a big emphasis. If required, we perform the repairs also on the spot, and also undertake the related dismantling and assembly works, too. 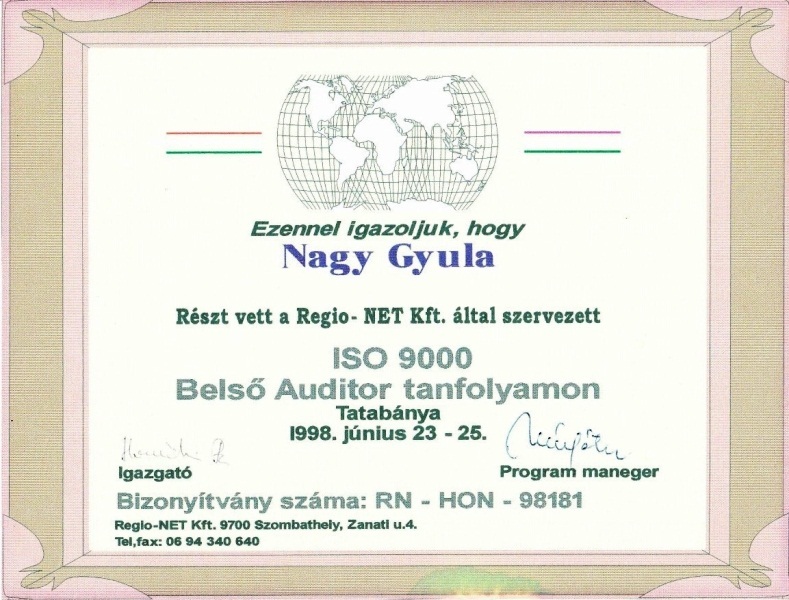 In 2004, we successfully implemented the Quality Management System MSZ EN ISO 9001:2001. The crisis motivated the management to improve quality, effectivity and organization. In 2010, with the inclusion of an external consulting company, we began the development of our organization, which finished by the end of 2012. 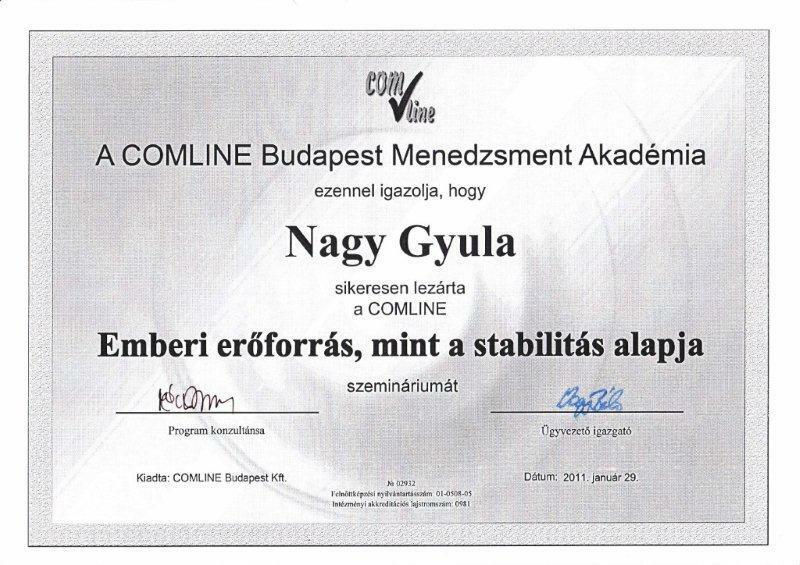 With regards to this development, we participated in courses and trainings. In 2011 we gained the „Permission H”, which is necessary to the reparation of wheel hubs of buses and trucks with metal spraying technology. 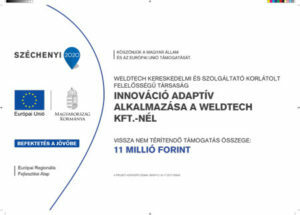 With the cooperation of ÉMI-TÜV SÜD Ltd., our welders gained in 6 types of welding methods a TÜV certification. 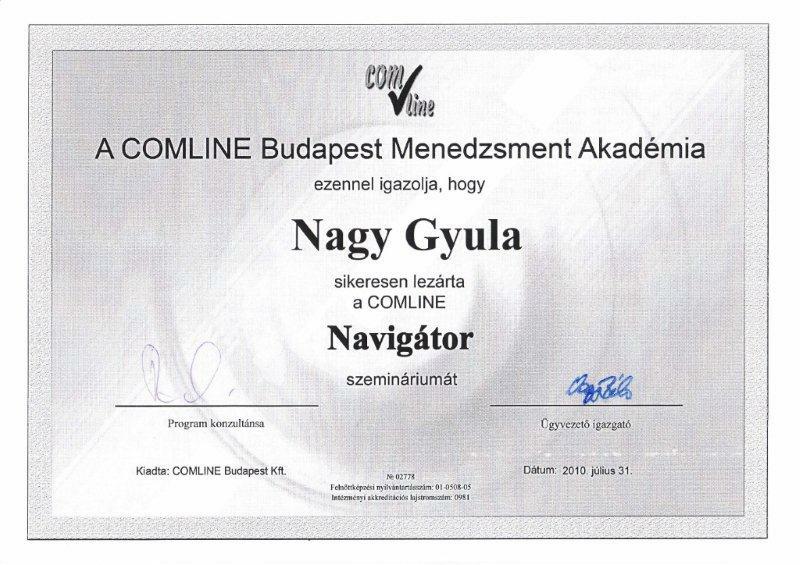 Our plant got the highest welding qualification, the certificate MSZ EN ISO 3834-2: 2006. 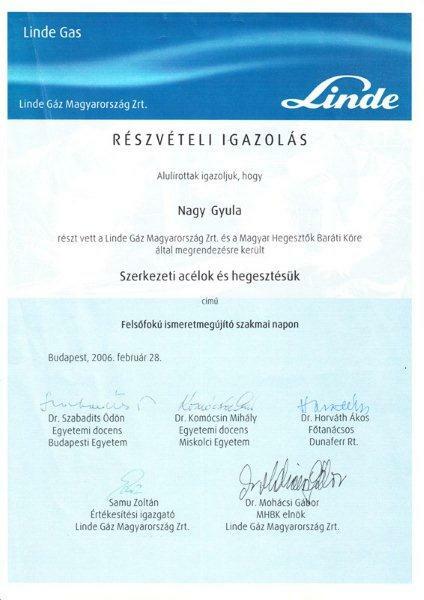 At the Association of Hungarian Welding Technology and Material Exemination we gained the licence for Liquid-penetrational material examination. Our medium-term plans include the building of a new production hall, the introduction of selective brush plating (electroplating), and gaining the EU Conformity certification.